The founders of Adande are the inventors George Young and Ian Wood, who started out with an engineering consultancy in Suffolk, specialising in industrial ventilation and air-conditioning for the oil and gas industry, hence Applied Design AND Engineering. 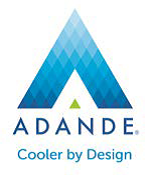 Adande is a unique UK innovation; the first in over 70 years, bringing refrigeration into a new era of design, versatility and user experience. The Lowestoft based refrigeration development centre recently introduced CFD into their design process. Careful consideration was needed through the selection process as it was known that large simulation models were going to be required of their full Aircell? Refrigeration Cabinets, that could run quickly and efficiently on the existing engineering workstation in use for the on-going design work. Simerics-MP was the CFD chosen due to its speed of computation on large models; robustness; cost of ownership advantages and depth of capabilities. Adande?s Aircell? 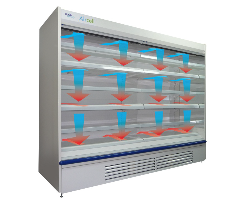 is a unique and patented air flow management system, developed for open front refrigerated multi deck display cabinets. The technology delivers operational and performance benefits to food retailers. 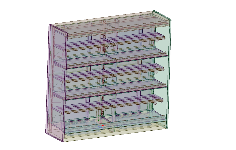 During the first 6 weeks of a specific development phase Adande were able to optimise the design by performing over 60 Virtual CFD tests fine tuning the geometrical features of the evaporator giving enhanced efficiency to help drive down the energy costs for their clients. 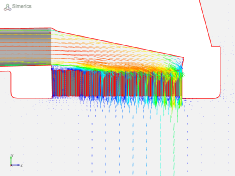 Being the UK and European Distributors of the Simerics CFD technology since 2010, 80/20 Engineering have developed considerable expertise supporting users in many different applications areas. ‘We care over the success our clients achieve from the use of simulation technology and high quality, responsive technical support is normally a key ingredient’ – Sean Horgan, Director – 80/20 Engineering. Managing the fluid flow path behaviour within the Refrigerator assembly efficiently can substantially reduce the energy demands and eliminate the formation of ‘warm’ regions that can spoil the stored food. 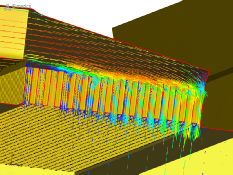 Using CFD simulation, a complete three dimensional flow and temperature map can be obtained for any operating environment. 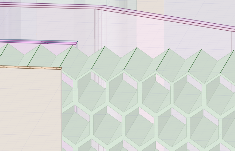 Once a concept is selected ‘virtual tests’ can be carried out to refine the idea or evaluate the impact of manufacturing or material specification constraints. Even though the operating temperatures are relatively low, view factor radiation is also being taken into account within the simulation work on the cabinets. Due to the size of the equipment, this can affect the temperature predictions by up to 10 or even 15%. Adande Refrigeration have subsequently successfully implemented CFD in-house so that the technology is now used routinely as part of the design process. 80/20 Engineering continue to provide any back-up technical support required, as and when needed. CFD techniques helped Adande to understand why the Refrigerator has certain behavioural characteristics in that the fluid flow paths are easily visualized so that re-circulation or dead zones are identified. This then facilitates design changes that enhance the flow characteristics prior to committing to expensive tooling. 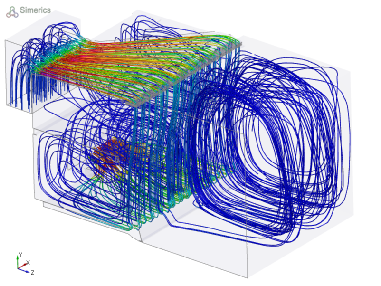 80/20 Engineering is a specialist Fluid Flow Simulation and Thermal Analysis Consultancy Company. We have a long track record of helping companies implement ‘Design Friendly’ or ‘UpFront CFD’ user environments that we believe will play an ever increasing role within the product development process.